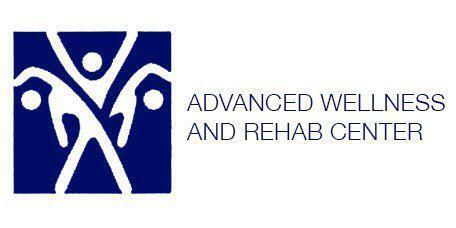 Dr. Reynardo Adorable and the staff of Advanced Wellness and Rehab Center offer physical therapy treatment options to the patients they serve. Patients living in the Carrollton, Texas area are encouraged to visit the facility for all of their physical therapy treatment needs. Physical therapy improves mobility and speeds up the healing process. Physiotherapy, also known as physical therapy, is an effective treatment tool that is often used in conjunction with other modalities to allow a patient to heal faster and stronger. After an extensive illness or injury, the body is significantly weakened, either by the lack of movement or damage to a specific area of the body. The exercises included in a physical therapy treatment plan increase a patient's range of motion, improve mobility, and rebuild their strength and stamina. Physical therapy allows the patient to regain their strength and mobility in a safe and controlled atmosphere that reduces the risk of re-injuring or stressing the area. Patients are encouraged to perform exercises and activities at home, as well as at their appointments for a more complete healing. How does physical therapy enhance chiropractic care? Physical therapy and chiropractic care go hand in hand when it comes to treating physical injuries. While chiropractic care focuses on the structure of the body on both muscular and skeletal levels, physical therapy's primary concern is how the area functions. It improves strength and increases a person's level of mobility over time so that the injury has time to heal and return to its original state. Once the healing process has started, physical therapy can actually hasten the process by increasing blood flow to the area. The stronger the area becomes, the less likely it is to be reinjured. How does physical therapy relieve pain? Physical therapy works to relieve joint pain by increasing the amount of freshly oxygenated blood to the area. Improving blood flow accomplishes several things. It strengthens both the muscles and the skeletal structure and reduces inflammation at the injury site. Flooding the area with blood allows for the fluid from the inflammation to gradually dissipate. As the inflammation decreases, the person's range of motion begins to improve. Inflammation and the stiffness that often accompany it can cause pain when a person attempts to move the injured area. By improving blood flow and strengthening all of the tissues associated with the injury, pain is gradually reduced while healing moves forward at a faster pace. Dr. Reynardo Adorable of Advanced Wellness & Rehab Center provides Physiotherapy/Physical Therapy services throughout the Northern Texas DFW Metroplex, including Carrollton, Plano, Frisco, Lewisville, The Colony and North Dallas. Please feel free to call us at 972-366-5771 or request an appointment online today.